Принятые типы файлов: pdf, doc, docx, xls, xlsx, jpg, jpeg, png, gif, tiff, dwg. Our products are well characterized during development, once in production we continue to monitor the quality of the product with regular in-line testing. This allows us to control our processes as well as ensure the quality of products we deliver. We characterize our products across all specification ranges including environment, immersion, and surface adhesion. We measure the performance using equipment specifically designed in conjunction with local universities and our own application experts. When a product transitions into production, product and processes are both monitored for consistency with regular in line testing. 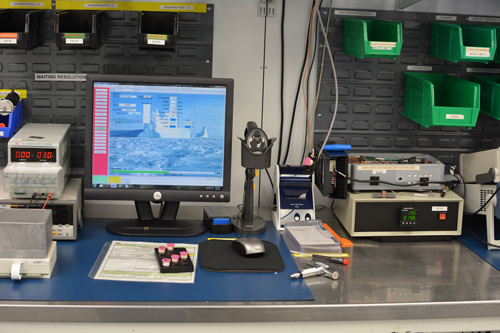 Test results are monitored by our process engineers using standard statistical process control methods. We want you to be confident in our products for your specific needs that's why we offer specialized testing. Contact us about the testing needs for your project's order. 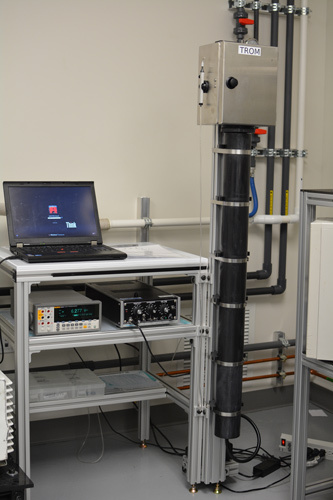 Parts are cycled in a environmental chamber from 60°C to -40°C at 85% relative humidity for 4 hours per cycle. After 50 cycles, the parts are held at 21°C, and 0% relative humidity for 98 hours. Parts are measured for transmission and reflection of both S and P polarization states. 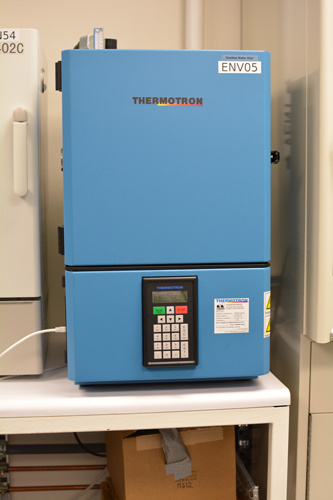 Parts are exposed to various temperatures in an environmental chamber in order to calculate acceleration factors and project lifetime under typical use conditions. Parts are tested for adhesion using a specific adhesive film adhered to surface and removed at a constant rate. Parts are exposed to 85°C at 85% relative humidity for 1,000 hours. Parts are inspected for visual anomalies and tested for transmission and reflection performance. Parts are baked at 200°C for 5,000 hours. Parts are inspected for visual anomalies and tested for transmission and reflection performance. Parts are exposed to ultraviolet light spectrum for 1,000 hours. Parts are inspected for visual anomolies and tested for transmission and reflection performance. Parts are submerged in 18MΩ water at 55°C for 4 hours. Products are inspected visually for light leaks in the blocking mode. Parts are submerged in 18MΩ water at 90°C for 17 hours. Products are inspected visually for light leaks in the blocking mode. Visual inspection to ensure parts meet established visual criteria. For example, pinholes, specs, particles. Test quote 2 omnis iste natus error sit voluptatem accusantium doloremque laudantium, totam rem aperiam, eaque ipsa quae ab illo inventore veritatis et quasi eaque ipsa quae ab illo inventore veritatis et quasi. Test quote 3 iciatis unde omnis iste natus error sit voluptatem accusantium doloremque laudantium, totam rem aperiam, eaque ipsa quae ab illo inventore veritatis et quasi. Test quote 4 rspiciatis unde omnis iste natus error sit voluptatem accusantium doloremque laudantium, totam rem aperiam, eaque ipsa quae ab illo inventore veritatis et quasi.